Man, I really need to read more Stephen King. Given the upcoming IT re-make and the fact I've never seen the original miniseries (don't kill me) I feel like I have a lot of King territory to cover. All of that said, I have no idea what The Dark Tower is about or what all the hype is concerning, but I'm certainly interested. That said, this trailer is the first thing I've seen around the material and while I'm not sure I exactly understand why the intrigue is seemingly so great I am naturally interested to find out about this world, these characters, and the story that has captured the imagination of so many of King's readers. Hell, I have three months I may even try to knock out the source material beforehand if I have the time. So, how does this trailer look from the perspective of someone who has no attachment to said source material? Well, it looks fine. 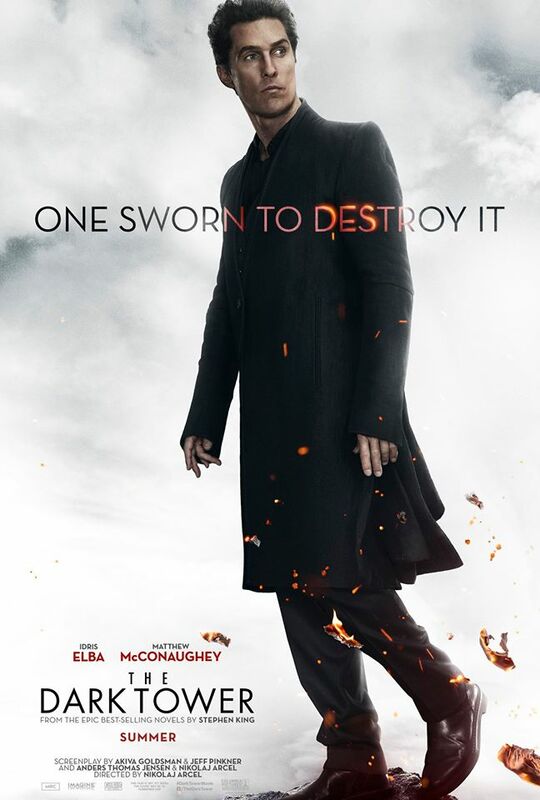 It definitely looks like a big-budget summer movie and the fact it gives Idris Elba a marquee role in a potential blockbuster franchise as well as potentially giving Matthew McConaughey one of his more interesting roles in a few years is worth the investment alone. Apparently there are eight novels in King's series and I suspect Sony is hoping this first film is a big enough hit that they might continue to make films and build a franchise around them especially given the studio is now sharing its most profitable property with Marvel and hasn't exactly found any other solid ground in the past few years. With Bond up for grabs this would seemingly only make The Dark Tower series more vital and a fairly large gamble for the studio. Still, what is different about this offering is the fact it will likely be an R-rated summer offering in the midst of PG-13 action adventures and animated blockbusters. The fact it does come from King also leads me to believe there will be a fair amount of horror involved-setting the expansive landscape that features the Gunslinger and the Man in Black apart even further. Here's to hoping filmmaker Nikolaj Arcel (A Royal Affair) can use everything working for him to his advantage. 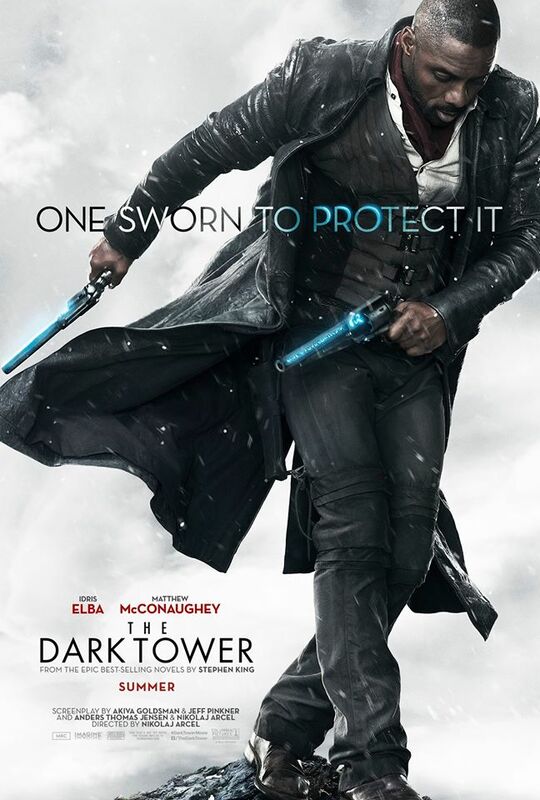 The Dark Tower also stars Tom Taylor, Katheryn Winnick, Abbey Lee, Jackie Earle Haley, Dennis Haysbert, Fran Kranz, and opens on August 4th, 2017. Synopsis: Jake Chambers (Tom Taylor) is a young 11-year-old adventure seeker who discovers clues about another dimension called Mid-World. Upon following the mystery, he is spirited away to Mid-World where he encounters the lone frontiersman knight Roland Deschain (Idris Elba), who is on a quest to reach the ‘Dark Tower’ that resides in End-World and reach the nexus point between time and space that he hopes will save Mid-World from extinction. But with various monsters and a vicious sorcerer named Walter Padick (Matthew McConaughey) hot on their trail, the unlikely duo find that their quest may be difficult to complete.